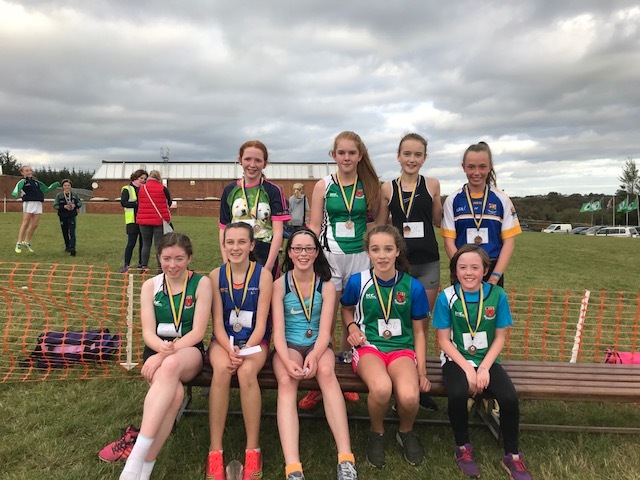 5th\6th Class individual AND team medallists are invited to compete in the Inter County Cross Country Race for Longford & Offaly at Tullamore Harriers Stadium, Oct 5th, 2018 @7pm sharp. Please arrive by 6:30pm for warm up. This is free and a great chance to get in training before the Connacht race. 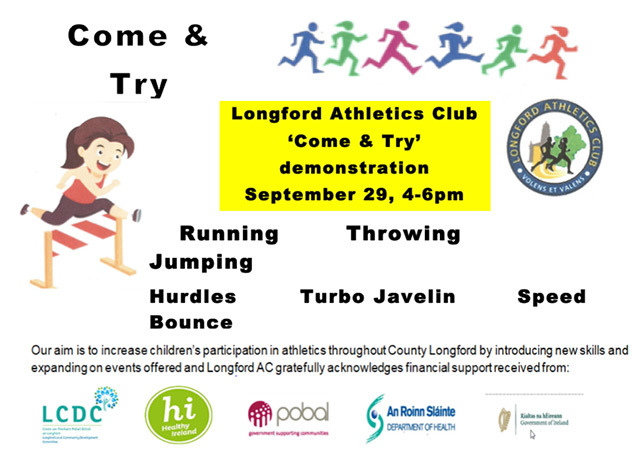 One of the coaches from Longford AC will be in Tullamore to meet all the children from Longford when they arrive. The first 10 Individual finishers & top 3 Teams in each race qualify for the Connaught Primary Schools Cross Country taking place on Saturday October 13th in Bushfield, Loughrea, Co. Galway, races start at 12 noon sharp. Please plan to arrive by 11:15am so that the children can walk the course and do a warm up\stretch. All entry fees will be paid by Longford AC. One parent or teacher per school to be responsible to collect the envelope with race numbers for your school at the registration desk when you arrive. 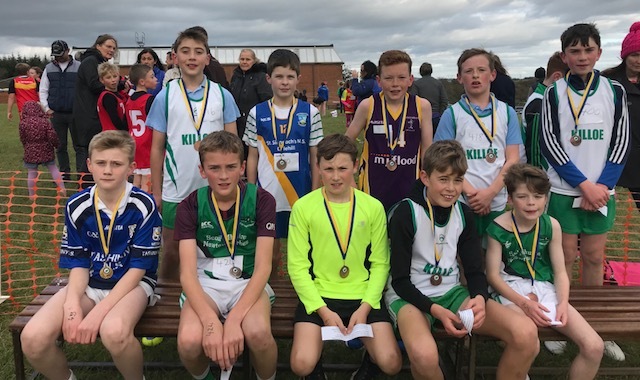 The Annual County Longford Primary Schools Cross Country Championships hosted by Longford Athletics Club were held last Saturday, 29th September 2018, at Moyne Community School. 201 children representing 15 national schools from across the county took part. Scoil Mhuire, Newtownforbes is the 2018 winner of the Harry Farrell Perpetual Shield. The school had the highest score for individual top 20 finishers across the four races as well as winning one set of Gold and three sets of Silver team medals. After finished in 2nd place for the last two years this is well earned. 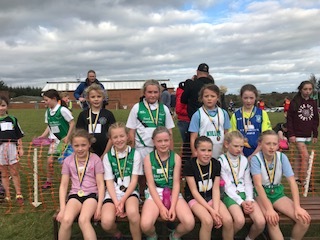 The first 10 girls across the line in the Annual Co. Longford Primary Schools Cross Country Championships 3rd\4th class girls 800m race on 29th September 2018 at Moyne. 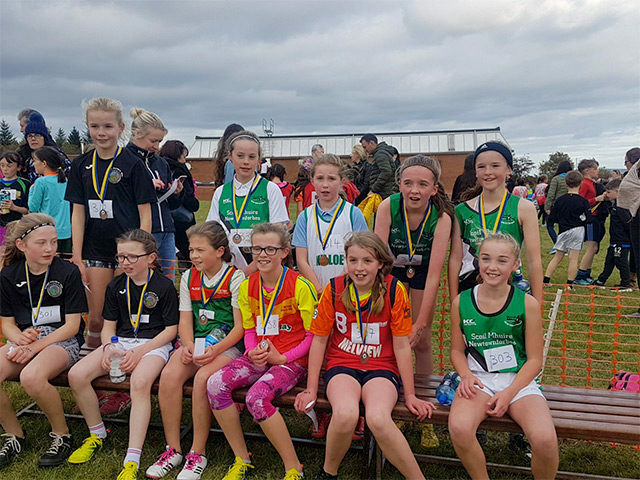 Longford Athletics Club will once again be hosting the annual Co. Longford Primary Schools Cross Country Championship on Saturday 29th September 2018 at Moyne Community School, with races starting at 5pm sharp. In 2017, 15 primary schools and 240 students participated. Registration is from 4-4:45pm, entry fee €3 per student. All primary schools in County Longford are invited to enter, there is no limit on participants so all students in 3rd-6th classes are welcome to take part. The first 10 individuals plus the first 3 teams in each race will receive medals on the day and qualify to go forward to the Connaught Schools’ Championships hosted by Galway on October 13, 2018, venue TBC. 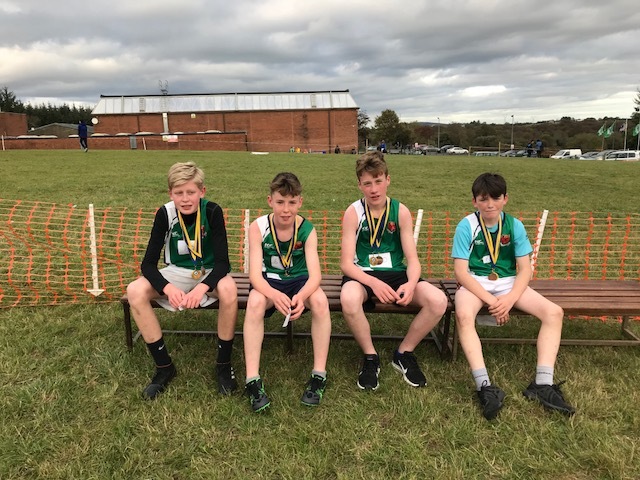 There is also a Special Invitation for the 5th\6th Class and 1st\2nd Year Secondary School medallists to compete in the Inter County Cross Country Race for Longford & Offaly at Tullamore Harriers Stadium on Friday evening October 5th at 7pm. A ‘Come and Try’ event will be on in the gym on the same day. Longford Athletics Club wants to increase participation in athletics across the county and we have received funding for our project from Longford LCDC, Pobal, Healthy Ireland and the Department for Health. Currently we provide training for Little Athletics thru Juvenile age groups (ages 6-18 years) in Dromard, Kenagh & Longford town. Each year the Club hosts the Annual Primary Schools Cross Country and Relay Races for all schools in County Longford. Longford Sports Partnership offers Indoor SportsHall athletics and every Sunday the Longford Junior Parkrun takes place for free at The Mall. Coaches and athletes will be on hand to answer questions and give demonstrations. The Club is also looking for parents/teachers that want to get involved as volunteers/coaches to ensure we can continue to provide opportunities for all the children across the county so please come and talk to us for more information. This was the 6th year that Longford Athletic Club has hosted the Relay Races and we had the largest participation to date with 502 children running in the relays and subs races. Congratulations to St Mary’s NS, Edgeworthstown on winning the Ray Flynn trophy for the best overall school for the 3rd year in a row. 2nd place St Teresa’s NS, Killoe and 3rd place Scoil Mhuire NS, Newtownforbes. Races start at 12.00 noon sharp so schools should plan to arrive by 11:15am to collect their numbers, walk the course and stretch\warm up before the starting time. This year 240 students representing 15 national schools across the County took part. 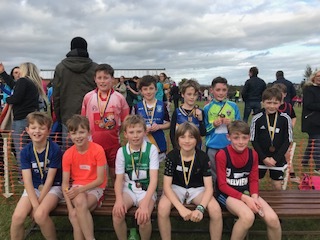 The autumn sunshine helped draw a large crowd to the annual County Longford Primary Schools Cross Country Championships on September 30th in Moyne. 240 national school children ran the challenging course earning points for their school towards the coveted Harry Farrell Shield for Best Overall School Performance.